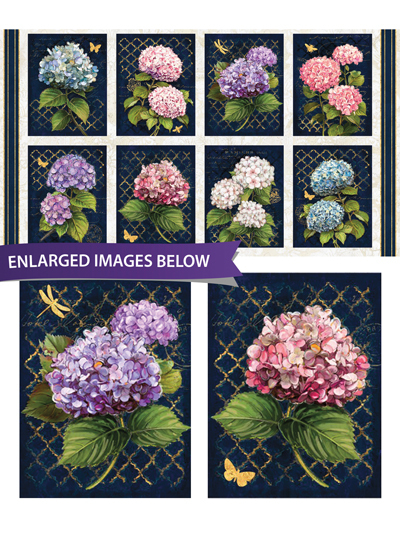 Seasonal Fabric Panels - Hydrangea Dreams Panel 24" x 44"
Hydrangea Dreams Panel 24" x 44"
Create your own quilted, indoor Hydrangea Dreams flowerbed with this lovely fabric panel! 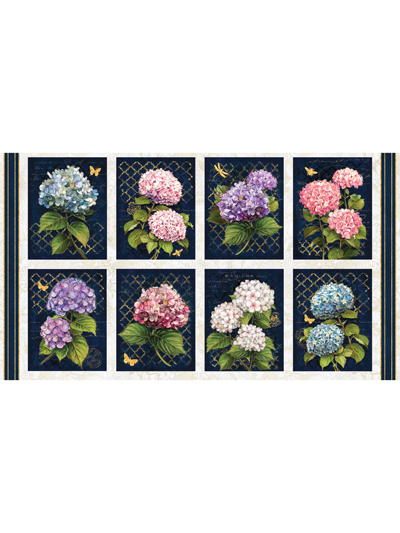 Hydrangea Dreams Craft Panel 24" x 44"
Beautiful, outdoor hydrangeas can accompany you anywhere in your new quilt, or sewing, project. The colorful fabric is 100% cotton and 24" x 44". Blue Floral Panel 24" x 44"